In mythology, ambrosia is the food or the drink of the gods. From this I was inspired to give the name to my restaurant. I want my customers when eat the food cooked by me in a place with unique atmosphere and accompanied by the sound of running water behind them, with the Etruscan well, they feel special, like gods. To achieve this ambitious goal requires care and attention to every details, not only in the kitchen, trying to honor our tradition and at the same time knowing how to be innovative. 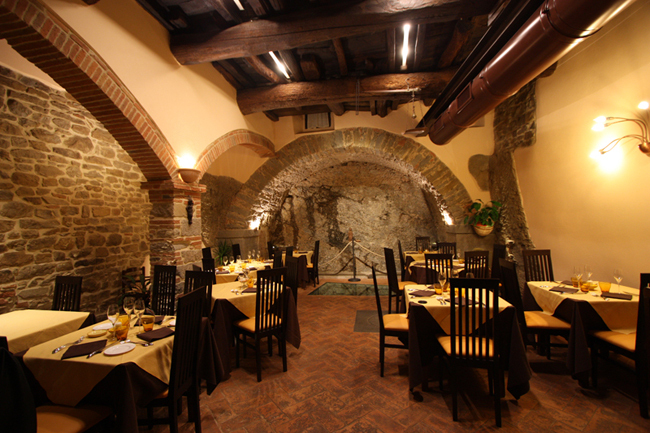 Tradition and innovation are the basis for the construction of my restaurant since the renovation of an ancient property with its history and its remarkable passages then would become Restaurant Ambrosia.